Benign Neglect – "Everything is going smoothly. We have other issues to worry about." Fear of Loss – "I’ll lose clients." Misguided Strategy – "We want to be the affordable option." Uninformed – "I’m not sure what others charge, but I know we’re competitive." Trouble Communicating Value – "I’m not really a sales person." Last time we looked at how to escape the trap created by fear and a misguided marketing strategy. Today, we’ll wrap up with Reasons #4 and #5. Last time we looked into Reason #1 – Benign Neglect. We also started to explore Reason #2 – Fear of Loss. We’ll go into more depth on that today, and consider how it relates to Reason #3 – Misguided Strategy. I watched her mouth tighten slightly, and her voice became a little tentative as she spoke. This was clearly a difficult subject for her to talk about. The seven of us, all small business owners and professionals, were seated around a small table. We listened intently as she began to explain her problem. "I’m considering a rate increase and need some guidance," she said. This successful young counselor was asking us, her Mastermind group, whether she should raise her rates in the new year. We started asking questions and she answered. She had been practicing over 10 years and had never raised her rates. Other professionals in her area were charging 25-30% more. Her practice was respected and received many referrals. "Would a 20% increase be too much?” she asked us. The uncertainty in her voice and body language betrayed her anxiety about making this change. As a financial advisor to small web and technology firms, I see a similar scene played out again and again as business owners wrestle with the core issue of “how much do I charge?” For perspective, consider your CPA. If she’s like most of her colleagues, she will start the new year with a new, higher rate for the beginning of a busy tax season. Many other professionals also adjust their rates at the beginning of a new year. How about you? 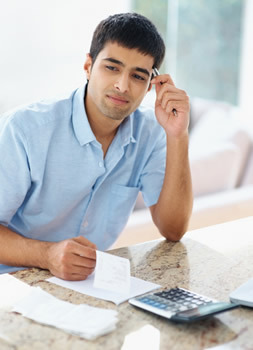 As a web professional, have you made plans to roll out a new rate structure in January 2012?